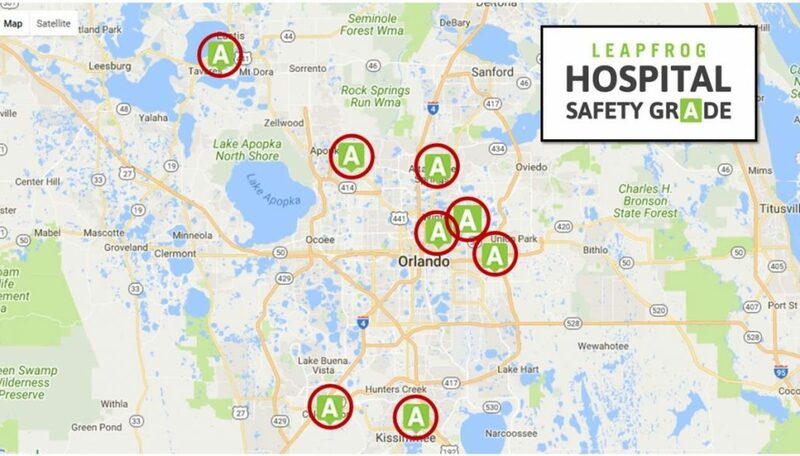 Florida Hospital campuses in the Orlando metro area all received “A” grades in an elite national rating program which recognizes strong commitment to patient safety. The independent hospital watchdog The Leapfrog Group released the grades, which rate hospitals on errors, injuries, accidents, and infections. Surveyors also consider a hospital system’s culture to prevent mishaps. The Hospital Safety Score is the gold standard rating for patient safety, compiled under the guidance of the nation’s leading patient safety experts. The first and only hospital safety rating to be peer-reviewed in the Journal of Patient Safety, the Hospital Safety Score is free to the public and designed to give consumers information they can use to protect themselves and their families when facing a hospital stay. To see Florida Hospital’s full scores, and to access consumer-friendly tips, visit www.hospitalsafetyscore.org.